Calling all wizards, witches, and Muggles alike! If your Hogwarts letter never arrived via owl courier, we've got the next best thing. 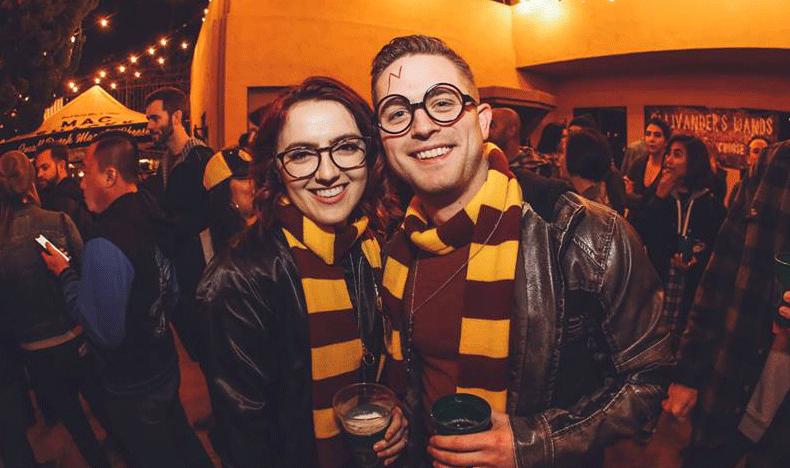 You're invited to attend a Harry Potter-themed beer festival! On February 9, the Historic Church Downtown will be transformed into the wizarding world of Harry Potter -- complete with Hogwarts Great Hall, Diagon Alley, and the Leaky Cauldron. Along with the magical atmosphere, witches and wizards can partake in over 20 winter, pumpkin, and holiday ales, including Adult Butter Beer and Snape's Lair of Secret Cider Potions. They'll also be able to enjoy bites from Mac Shackk, as well as dance the night away to music by DJ Dumbledore and The Slytherin Sisters, meet various characters, and even get a photo with Hagrid. Tickets are $35 a person, but due to the immense popularity of the event, the event has sold out. However, not all hope is lost. There is a waitlist you can join if you're still interested. What do you think? Will you be attending the Harry Potter-themed beer festival? Which Hogwarts House do you belong to? (Proud Hufflepuff here!) Let us know in the comments below. 'Hamilton' set to return to Denver in 2020!